This article is brought to you by Ten Speed Press. Head here to pick up a copy of Sprouted Kitchen Bowl + Spoon. 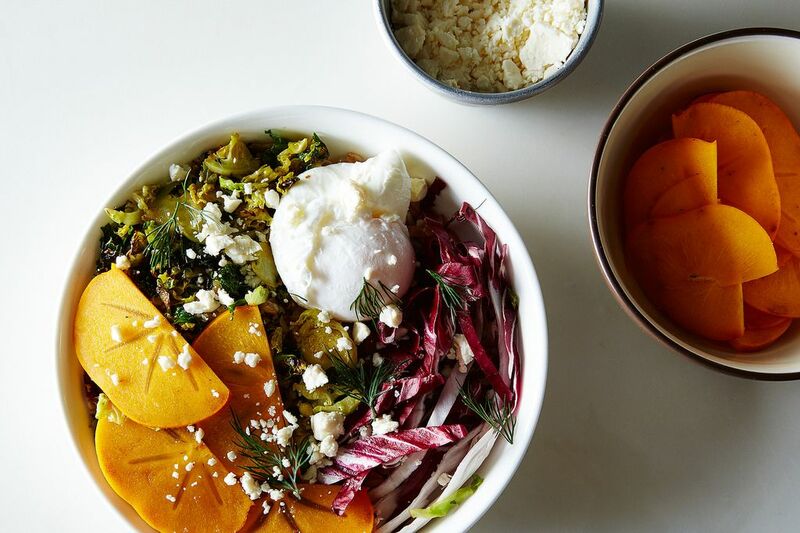 Today: Sprouted Kitchen Bowl + Spoon author and chef Sara Forte gives us a bowlful of advice for a bellyful of goodness. Vegetables, protein, a good sauce—these are words to live by. Toss them in a bowl, give it a jumble, and you'll find that just about any combination makes a nourishing breakfast, lunch, or dinner. Maybe you want to add in a bit of body with some grains or legumes, or mix in some greens and top it with goat cheese. We like those ideas—we support them. 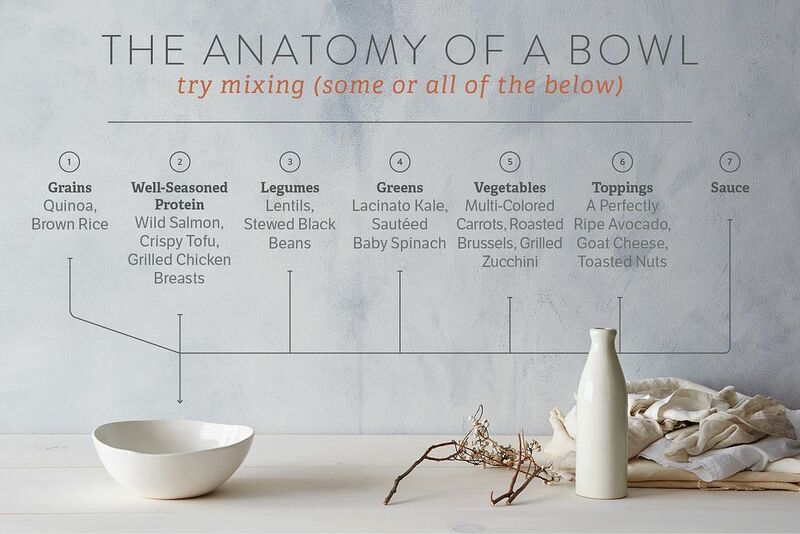 Bowl foods are flexible, and this is the way Sara Forte, author of Sprouted Ktichen Bowl + Spoon, likes it. A bowl food isn't a perfect thing, Sara states. And it doesn't always need to have all seven components. Overthinking it, Sara explains, is the complete opposite of why she got into the whole "bowl thing" in the first place. 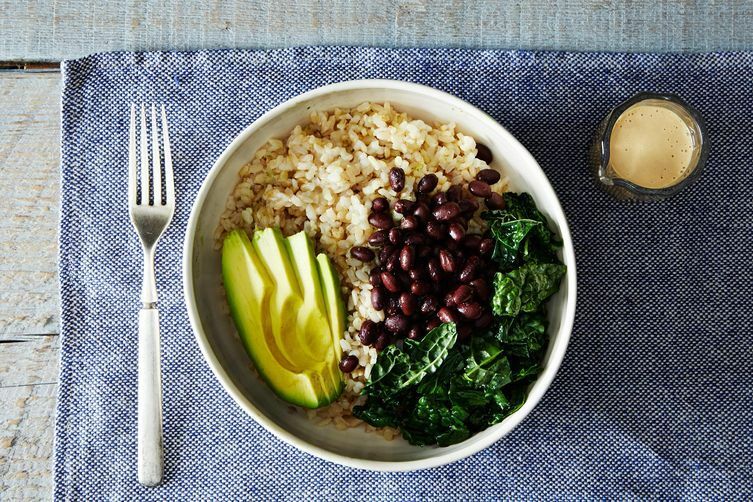 Grains and a protein can keep you full for a long time and round out a meal—adding sauce, toppings, and/or vegetables make a bowl special. 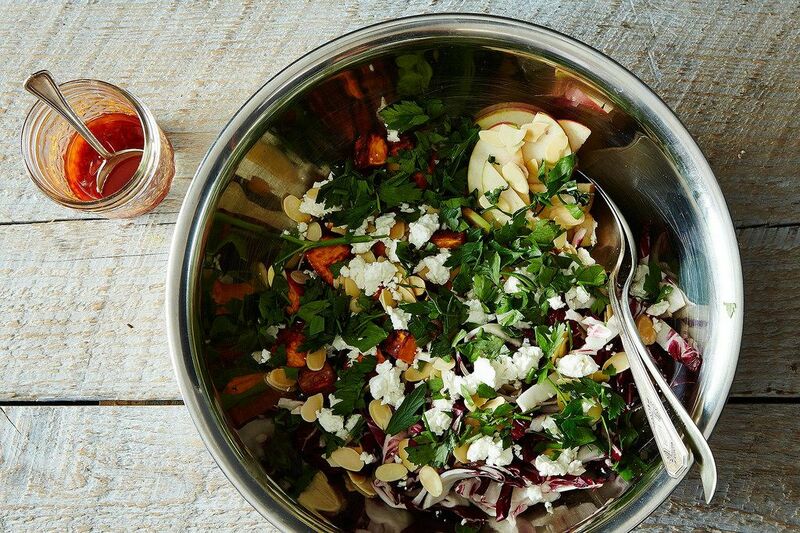 A bowl gives your food good looks too, huddling grains, greens, veggies, and whatever else all together. Whatever feels natural, do that. Since her bowl recipes tend more toward weeknight comfort than weekend dinner party, Sara wanted to design options for the everyday. "When I set out to write the cookbook, I thought I had to try really hard to make each recipe super creative and they were turning out sort of...uncomfortable—if you can say that about food," she says. When she started integrating elements that felt more natural, it clicked. 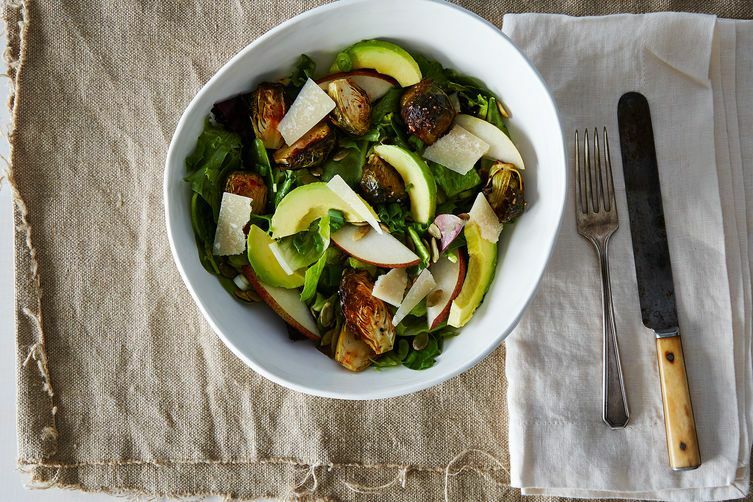 "Sharing pieces of those everyday sorts of meals is when I felt most at home," she adds. If her bowl is a pie chart, Sara says she tries to keep it at 50% vegetables. She believes in making big batches of ingredients so you'll have food stocked that will keep for the days when cooking isn't in the cards. So, make more than you think you'll need, and save it for later. Her secret weapon when it comes to bowls? The sauce. This is what pulls a bowl together, no matter how haphazard the combination is. She also says variety in color and texture is key to the best bowl. And if she's not eating something out of a bowl? 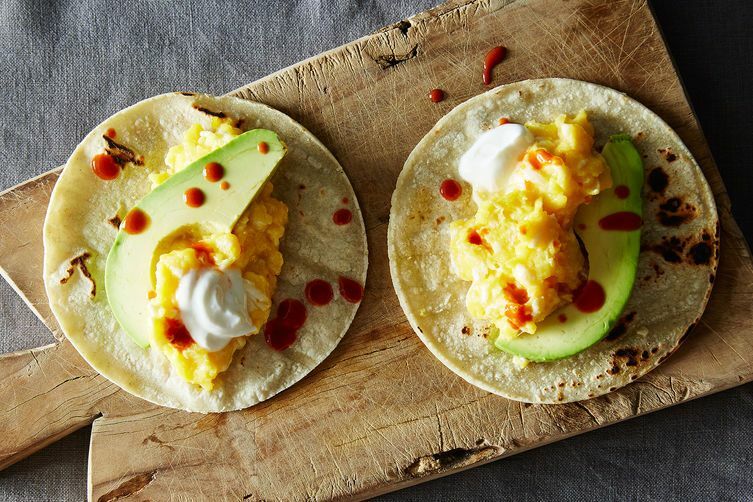 It's things on toast, tortilla-wrapped scrambled eggs, and dark chocolate peanut butter cups. And red wine, she adds (which, if you look at it the right way, is sort of in a bowl). 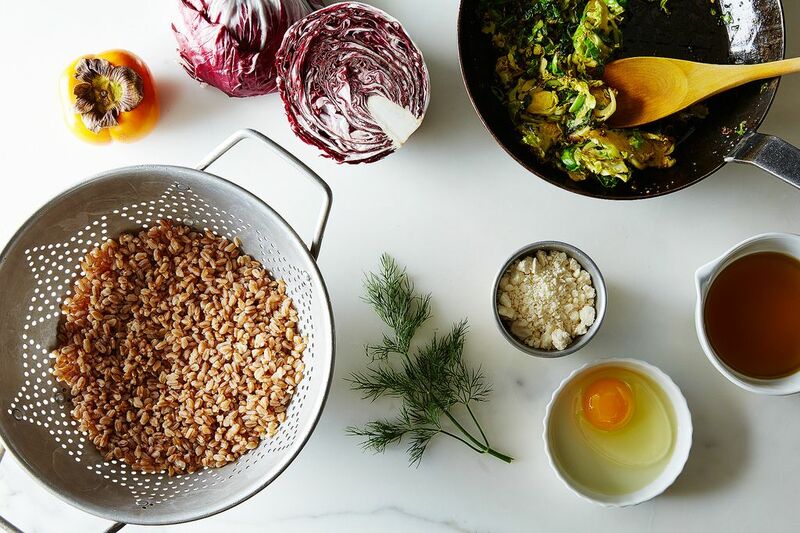 What ingredients are in your favorite bowl? This article is brought to you by Ten Speed Press. Head here to pick up a copy of the Sprouted Kitchen Bowl + Spoon. How do you pound tofu thin? I can't see it putting up much of a fight. Too funny! I was wondering the same thing! Oh, sigmini, thanks for pointing that out! It should be the chicken breasts that are pounded thin. Can you share the recipes for the sauces?